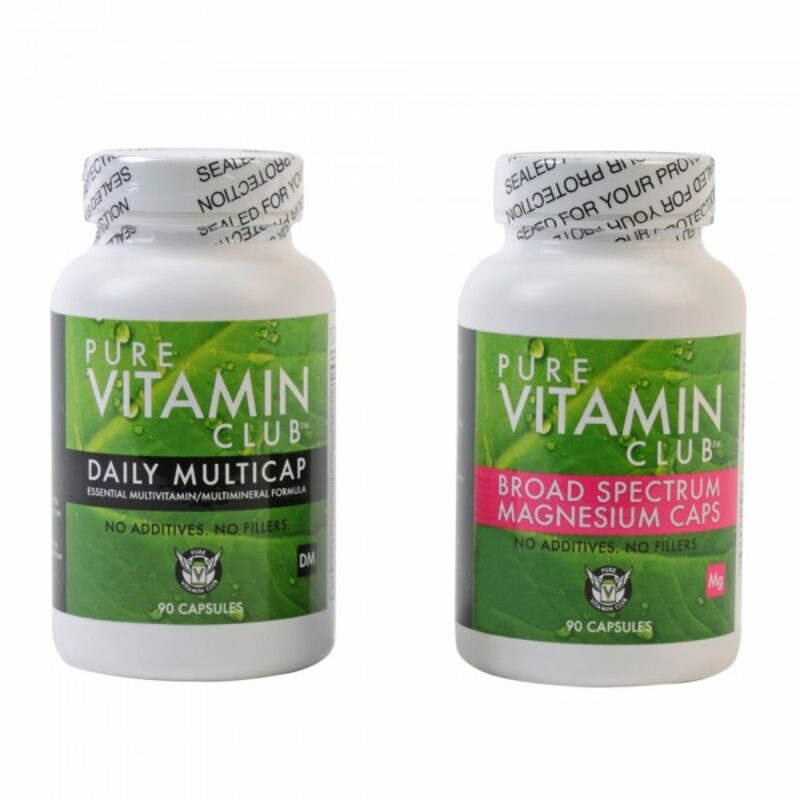 One 90-day supply of Magnesium Caps and Daily Multicap Formula, delivered every 90 days. You may cancel further orders at any time, as per the Terms of Service. 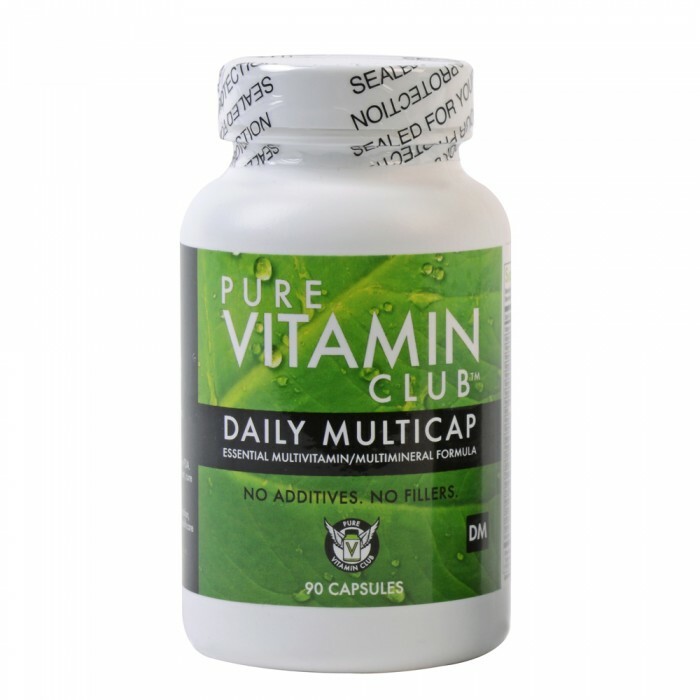 Pure Vitamin Club Daily Multicap is the purest multivitamin formula available, providing the optimal supplementation of all 13 Essential Vitamins plus 11 key minerals. Each bottle contains 90 vegetable-based capsules, with no additives, fillers, preservatives, coatings, artificial colors or artificial flavors. Simply put, Magnesium is one of the most important nutrients for maintaining optimal health. 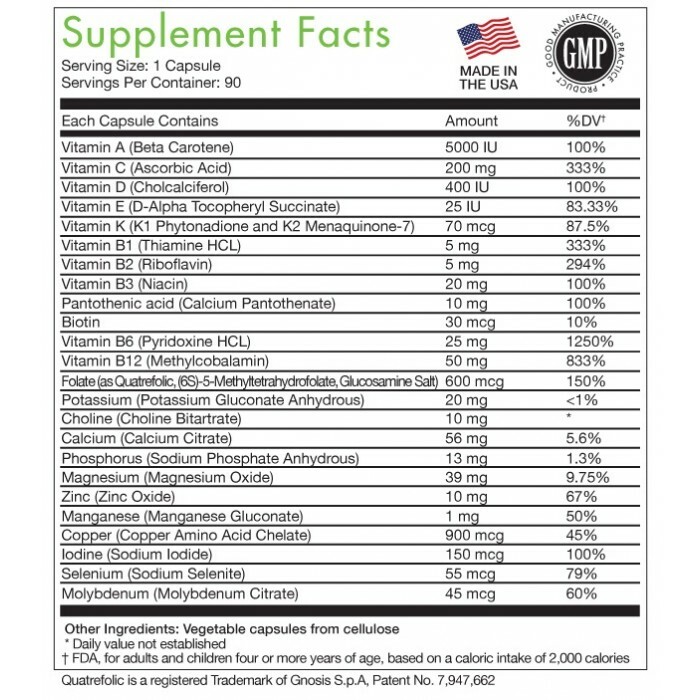 It is a co-factor in over 350 enzymatic reactions in the body, and is necessary for the transmission of nerve impulses, muscular activity, heart function, temperature regulation, formation of healthy bones, and improving insulin sensitivity. Magnesium is often called the “relaxation mineral,” as it helps virtually all muscles in the body to relax. Magnesium Glycinate – One of the best absorbed and most bio-available forms of Magnesium, considered best for long-term use and correcting a deficiency. Magnesium Taurate – Best for cardio-vascular health, as it is known to prevent arrhythmias and guard against heart damage. Gentle on the stomach. 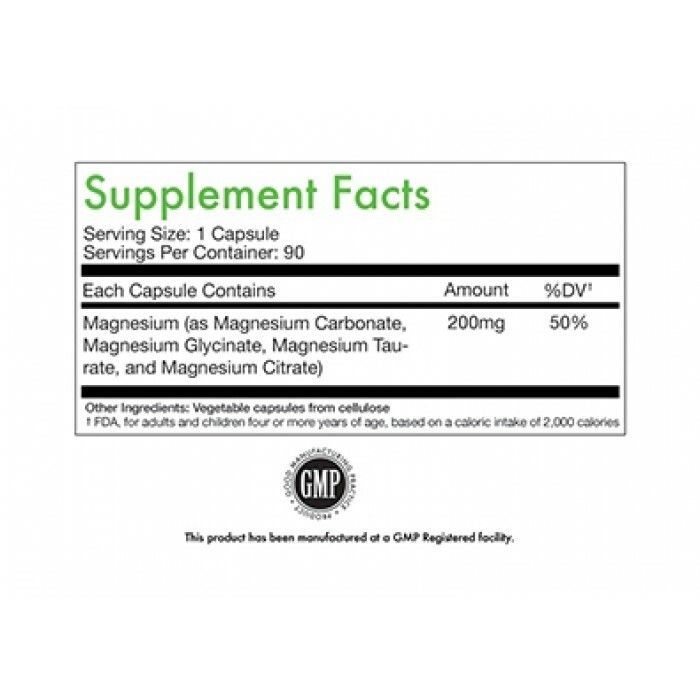 Magnesium Citrate – Aids in colon health, with gentle laxative properties. 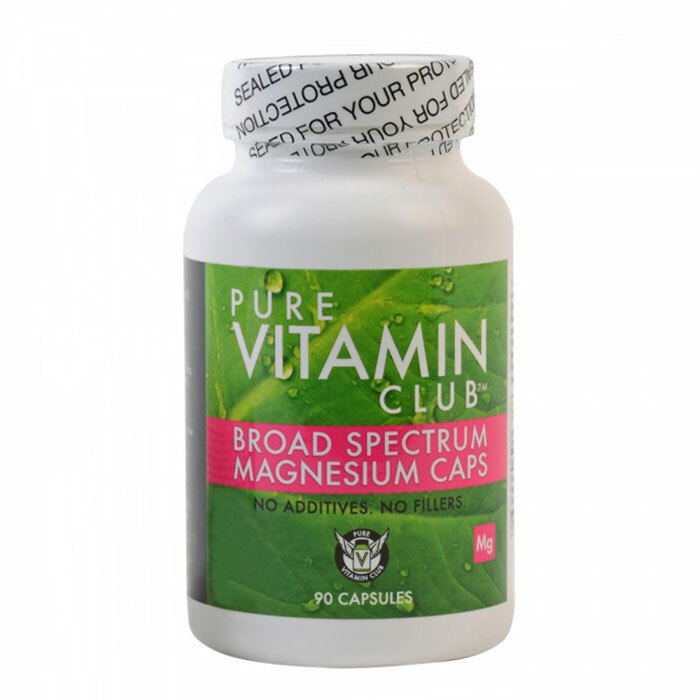 Pure Vitamin Club’s Broad Spectrum Magnesium Caps come in bottles of 90 capsules, each containing 200 mg. of magnesium, and are available either by subscription or on a single order basis. And, as with all Pure Vitamin Club products, they include absolutely no fillers, flow agents, colorants, or any kind of added ingredient at all – just the best magnesium formulation available anywhere.